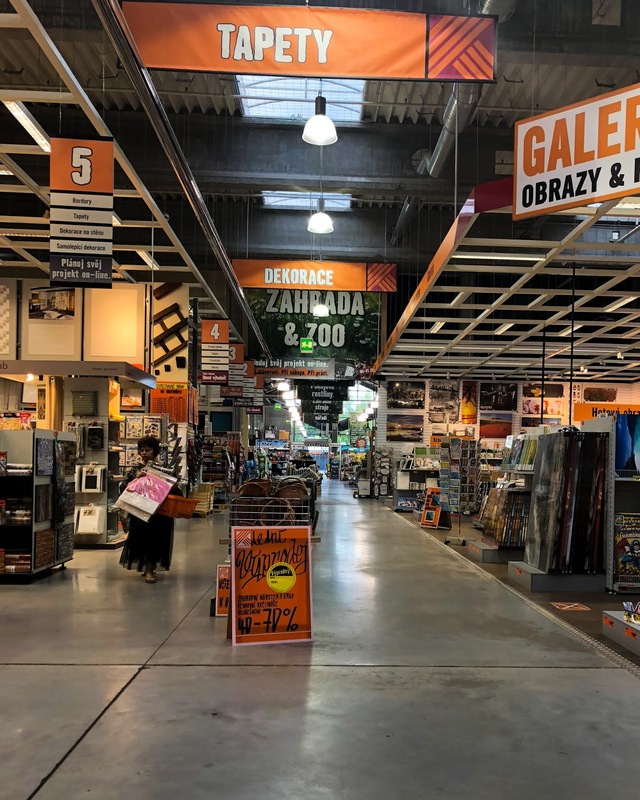 This store, "Hornbach", is one of my favorite stores in the Czech Republic. Yes, it's a "home improvement" store! I don't know why, but every time I walk in I get this happy feeling of anticipation. Maybe it's because they've come through for us on many an occasion. Through the years we have been here so many times, picking up "you name it" ... everything from tools, to building supplies, to dog food, to plants, flowers and trees, to gardening supplies and more. You name it, they've got it. While we've got three different building supply stores in the area, this tends to be the one we end up buying at. And blessing of all blessings, we found what we came looking for today, despite the fact that nearly everywhere else they're sold out. 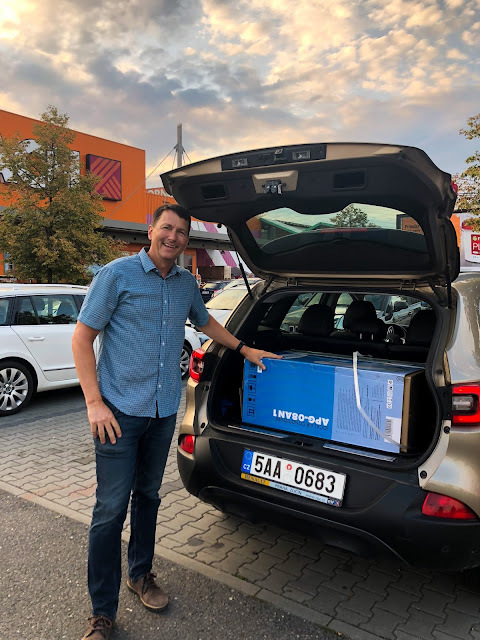 In 25 years of living here in Czech, and another 6 years in Germany, we have never owned an air conditioning unit. So often our "hot" days have been few and far between. So we just swelter through them and move on. But in case you haven't heard, we're in the midst of a heat wave across Europe. Here in Czech we don't even have it as bad as other places, as in, we haven't passed 100 F (37.7 C) yet, but almost! It is HOT and HUMID here right now. Dave asked me yesterday what I wanted for my birthday (that's coming soon) and I didn't hesitate to answer. 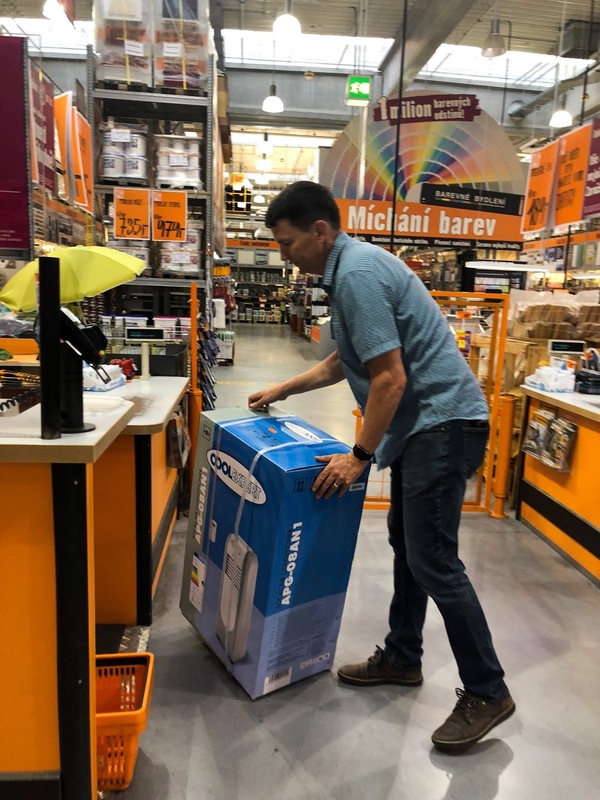 Yes, I wanted a portable air conditioning unit! And I'd like it now, if possible. While most other places were sold out, Hornbach came through, again. WHEW. I can hardly wait to sleep in a room that is cooled off tonight! THANK YOU DAVE, for making my birthday wish come true; and for not making me wait until my birthday to get it! You're the best!! !